1) Podcasting is a big deal, especially with young people. 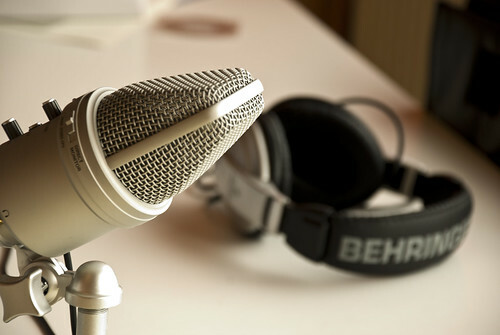 From their start in 2003, podcasts have become the fastest growing media in the United States. In 2016, 40% of all Americans had listened to a podcast, 25% listen to a podcast at least monthly, and half of all those listeners are between the ages of 12-34. 2) Podcasting build relationships faster than print does. I talked with an author who told me that for publishers, 5000 monthly listeners are worth the same as 50,000 monthly readers on a blog. The average listener hears five podcast episodes in part or in their entirety every week. That level of engagement allows you to quickly build community with whomever you reach. 3) Podcasting is effortlessly versatile. Want to post sermons? Conduct interviews with religious leaders or ordinary church people? Highlight community-created poetry or music? Share your own thoughts on current events? Anything that can be recorded can be posted easily, depending on your goals. 4) Podcasting is cheaper than you think. My near-professional setup cost about $150 for a microphone, studio headphones, and the world’s tiniest sound booth, plus $12 a month for a podcast hosting service that connects it to Itunes, Google Play, Stitcher, and my website. You can edit on any average laptop and there is powerful free sound editing software that provides easy post-production polish. 5) Podcasting is easier that you think. Yes, there is absolutely a learning curve at the beginning. However, if you are willing to pay attention to how you setup your recording space, getting an acceptable sounding podcast doesn’t take much time, especially if you don’t need a lot of bells and whistles. My podcast, which involves theme music, separately recorded intros and credits, mixing, and editing, takes me about two hours of editing time per episode. Want hands-on help setting up a successful podcast for your church, ministry, or creative work? I’m teaching an eight-week, hands-on apprenticeship that will take you from the basics of sound editing, to learning how to conduct interviews, to launching your own podcast, starting in September. It’s called “Podcasting and the Art of Sacred Listening”, and if you register before Labor Day, you can get a $50 discount by entering the code “PODCAST2” when you check out.